The Helmsley Building is currently my favorite building to photograph. For the pass two years or so, it has been fully lit in beautiful colors in the evening. I’m not really fond of this color, it’s really pale to the naked eye. It stands out here with extra contrasting. Edited for my holiday cards. From Wiki: The Helmsley Building is a 35-story building located at 230 Park Avenue between East 45th and East 46th Streets in Midtown Manhattan, New York City, which was built in 1929 as the New York Central Building, and was designed by Warren & Wetmore, the architects of Grand Central Terminal, in the Beaux-Arts style. Before the erection of the Pan Am Building – now the MetLife Building – this building stood out over the city’s second most prestigious avenue as the tallest structure in the great “Terminal City” complex around Grand Central. Okay so this was a great learning opportunity! Actually, everything about photography is a learning experience for me still, but this challenge was intimidating – mostly because it included elements from Week 35: Translucent Outdoor Long Exposures that I didn’t have time to try, plus infrared photography which I was not familiar with. All that said, I think my first attempts with translucent long exposure in infrared came out okay. Following the light of the setting sun. One of the main reasons I love the Water Taxi. Another reason: It’s free on the weekends. Comments and suggestions on photographing the moon are welcome. I began and ended my vacation in Milan, Italy. Sight-seeing was not an interest for this trip, but I couldn’t bring myself to travel so far and not visit a note-worthy site and take some photos. I opted for the Duomo di Milano and the Galleria Vittorio Emanuele II across the plaza from the cathedral. All of the below photos are stitched using Microsoft Image Composite Editor. Editing done in Lightroom. A couple of years ago, I saw Hiroshima, Mon Amour, a 1959 French film set in Hiroshima, Japan following the U.S. bombings of Hiroshima and Nagasaki on August 6 and 9, 1945. I had learned a very sanitized version of the bombings in school, but I don’t recall ever seeing the effects of the bombing, i.e. the large-scale destruction of life and the desolation of the survivors. Prior to watching Hiroshima, Mon Amour, I had not heard of the bombings in any personalized way. Suffice it to say that the film left an impression. A couple of months ago, I visited Montreal, Quebec and spent an afternoon at the Botanical Garden. I spent the majority of my time that afternoon in the Japanese Garden. I trailed through the meditation spaces, lingered over the bonsai trees and wept over the Hiroshima memorial of drawings by survivors. I’ve been wanting to share this for a while, but it’s been difficult to revisit my photographs and the personal stories they captured. 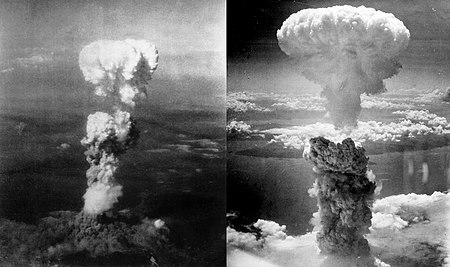 However, the 70th anniversary of the murder of so many Japanese people seemed to be an appropriate time to share the images. We should all work to eliminate the idea that we need to destroy others in order for some to live with their own ideas of freedom. Visit the City of Hiroshima web site for current information about the city.